It was right around the time I turned eleven years old. My parents were Broadway musical fans. By default, so was I and still am. I’d sit in front of the RCA Victor hi-fi in the living room and listen to recordings of Oklahoma, My Fair Lady and, my favorite, Camelot, over and over until I could sing every word of every song by heart. I’d already accompanied mom and dad to the Shubert Theatre in Chicago the year before to see Forrest Tucker in the role of The Music Man. This year we were repeating that trip to see Florence Henderson in The Sound of Music. I don’t remember enough about the performance to offer any critical review. After all, I was only eleven. But there are two things I’ve always thought of whenever I’ve heard Florence Henderson’s name mentioned or have seen her on television. This is despite the fact I was never a Brady Bunch fan, though I have to admit to finding Maureen McCormick, who portrayed Marcia Brady, kind of cute. But I’m digressing. 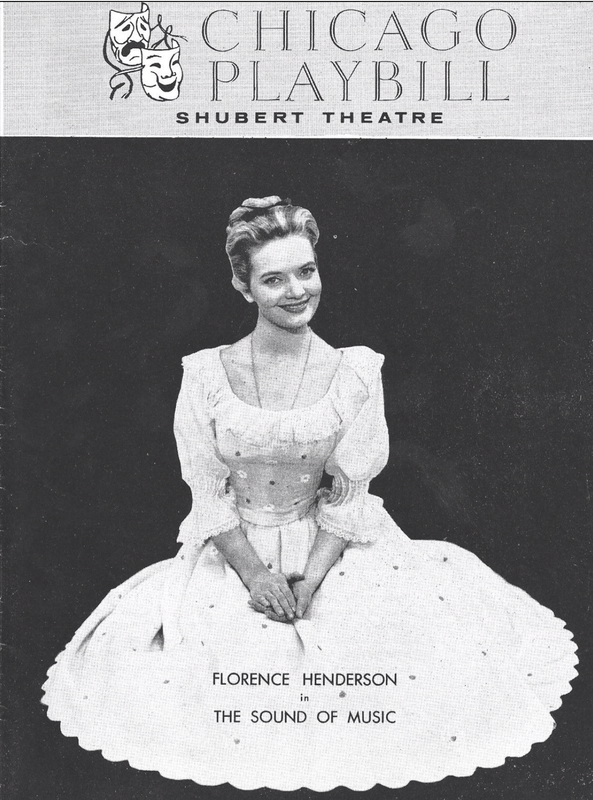 Invariably, when I hear about Florence Henderson, I think of seeing her in The Sound of Music in Chicago and am thankful to my parents for taking me along to see it. Did I mention there were two things I think of when I hear about Florence Henderson? The other thing is how cute Marcia Brady was. I blame rock and roll for that.